Dr. Robinson recently put a rectangular fence around his backyard. The fence has a width of yards and a length of yards. If Dr. Robinson paid for every yard of fence, how much did the fence cost? To find the cost of the fence, apply the formula in order to first find the length of the perimeter of the fence. Then multiply the perimeter by . The rectangle shown above has a width of and a length of . Find the area and perimeter of the rectangle. A right triangle has legs 90 centimeters and 16 centimeters, What is its area? A triangle has base 18 inches and height 14 inches. What is its area? 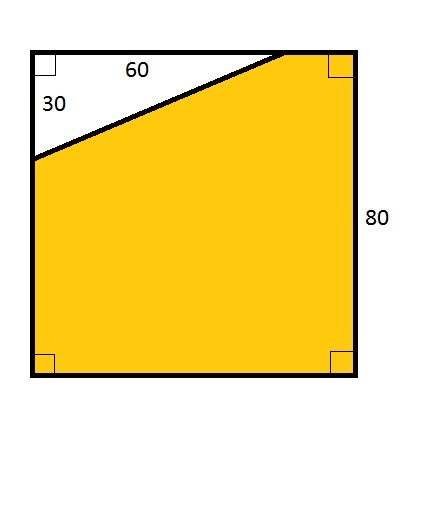 What is the area of the above triangle? That is, the area is 84 square inches. That is, the area is 3,000 square millimeters. 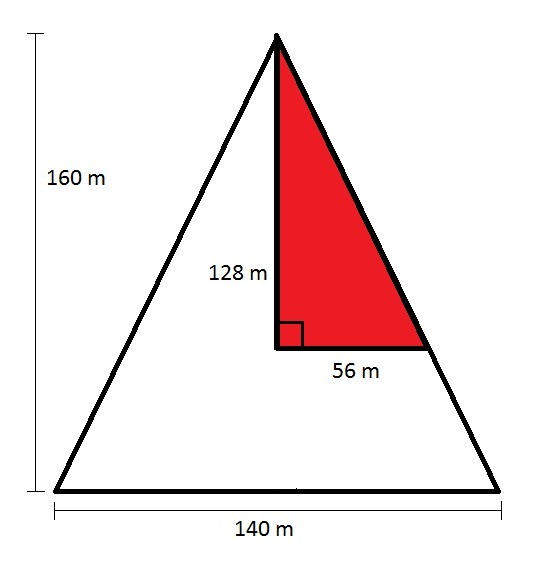 The above triangle has an area of 450 square centimers. . What is ? To find the area of a triangle, multiply the base of the triangle by the height and then divide by two. The quadrilateral in the above diagram is a square. What percent of it is white? of that of the entire square. Mr. Jones owns the isosceles-triangle-shaped parcel of land seen in the above diagram. He sells the parcel represented in red to his brother. What is the area of the land he retains?